There are so many things and concerns that often confuse people while travelling in trains. As per Indian Railways, there are going to be some drastic changes from 1st July, 2017 in getting train tickets to waitlist status train tickets to getting refund and it is very much important to be aware of everything, especially if you are a regular train traveller and prefer to travel a lot via trains. Changes that have been decided have been mentioned in below. As of date, no refund is been collected in case people cancel tatkal tickets. But from as effective from 1st July, 2017, people will get 50% refund on the cancellation of tatkal tickets. At the same time, passengers will get 50% rupees back when they return tickets of Suvidha train. The refund charges will be deducted as per 100 Rs. for AC 2, 90 Rs. for AC 3 and 60 Rs. for sleeper class coach. There will be a change in the time of booking tatkal based tickets. To get AC tickets, time has been changed for tatkal based tickets from 1st July, 2017. From now onwards, if passengers want to go for booking AC tatkal based tickets, then it is mandatory to book the same in between 10 to 11 AM in the morning. For sleeper coaches and other coaches, the time to book for tatkal train ticket will be same that is from 11 AM to 12 Noon. Indian Railways took a big decision to make rail travel of people relaxing and hassle free. From 1st July, 2017 onwards, there will be no waiting list ticket provided to passengers. It has been decided by them that only and only confirm rail train tickets will be provided to passengers and then RAC tickets will be provided. Now on, there is actually no hassle of waiting train status tickets. 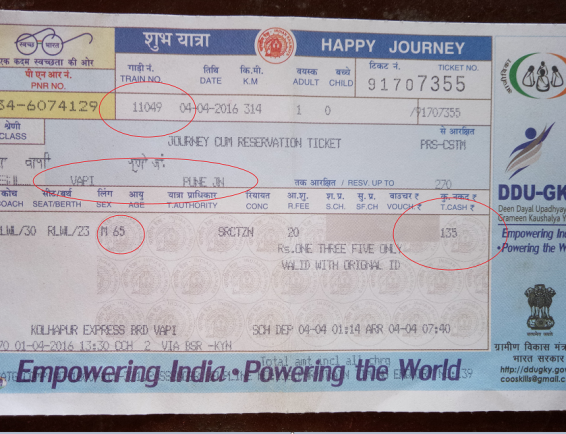 Till date, rail train tickets are only provided in English language. From 1st July, a change has been done according to which rail travellers could get train tickets not only in English language but also in other languages. People need to choose the language in which he/she wants the ticket. Indian Railways has decided to add up the number of coaches in Rajdhani and Shatabdi trains. From 1st July, 2017, these trains are going to be more in length due to addition in number of coaches. Indian Railways provide a facility to get different tickets under different quota travel but from 1st July, to avail this facility and advantage, it is must to show them the Aadhaar card. No matter, whether you are buying tickets from online or offline platform, to get tickets under quota, it is must to provide them your Aadhaar number. 2. Integral Record of entire Travellers name list whose names are partly confirmed/partly waitlist or partly RAC/partly waitlist, their names emerge in charts inclusive the waitlist passengers. 3. Elimination of e-tickets by the customer/agent through IRCTC’s website is allowed only before chart preparation of the train. 4. Passengers whose ticket are in waiting list their names automatically dropped after the chart preparation. Their ticket automatically cancelled and they are not allowed to board the train. 5. The cancellation of waiting list travellers are accompalished by IRCTC after chart preparation and refund is credited to customer’s account electronically. 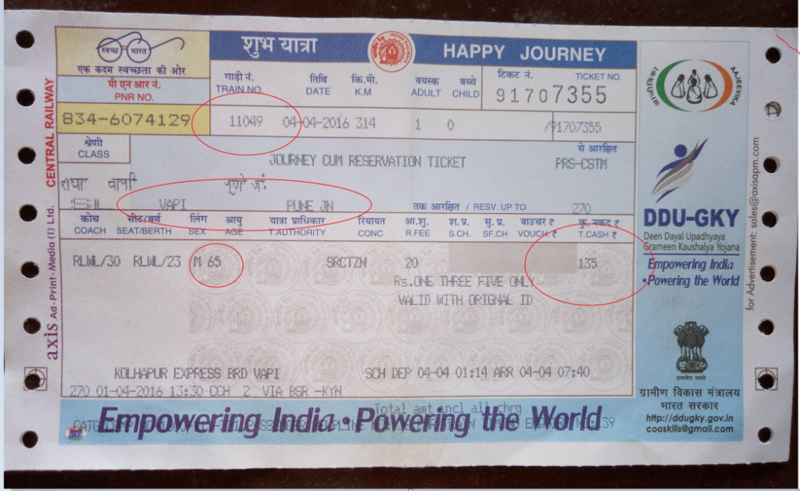 The refund of waiting tickets automatically initiated within 3 to 7 working days from the boarding date of train. Then what will be the refunded in the same medium through which the payment has initiated.